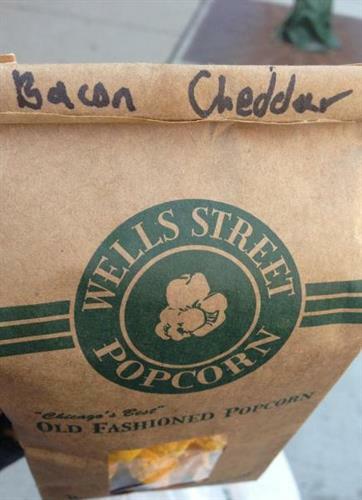 Wells Street Popcorn is the high-quality, high-value popcorn provider based in the Chicago area. 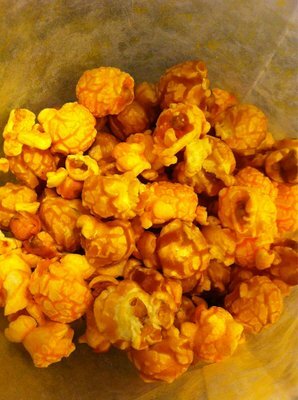 Our homemade recipes have been passed down by family members for generations, dating to the 1930s. 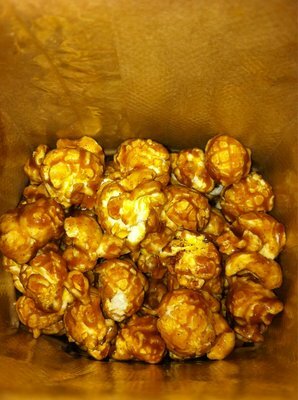 At Wells Street Popcorn, we stick to the basics and we sell ''Chicago's best'' old fashioned Caramel, Cheese, Traditional, Kettle Corn and Chicago's most famous treat: The Best Caramel & Cheddar Mixed popcorn that money can buy. 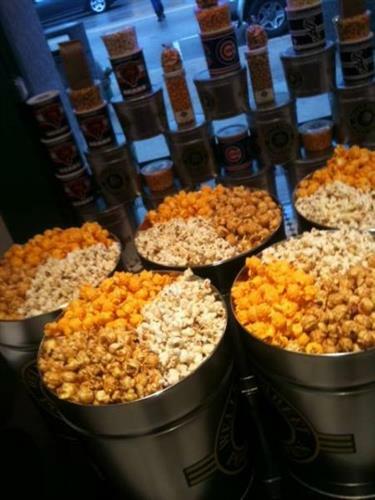 We pop corn fresh each and every day. We sell directly to the public on a walk-in basis and we ship tins nationwide*. Our tins come in 3 sizes -2 gallon, 3.5 gallon and 6.5 gallon - and can be dividable 2 and 3 ways. There is no minimum tin order. 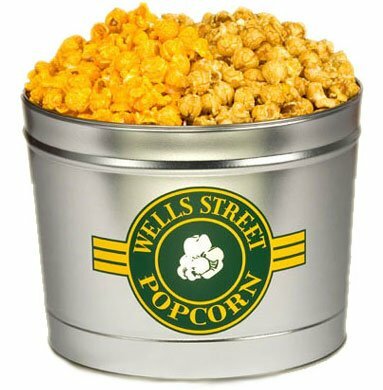 For larger volume orders, Wells Street Popcorn can place your logo on our tins. We can insert a personalized card in each order and we handle all of your shipping logistics.